This video shows a larger boy shouting at a smaller boy in German, pushing him back and getting in his face. 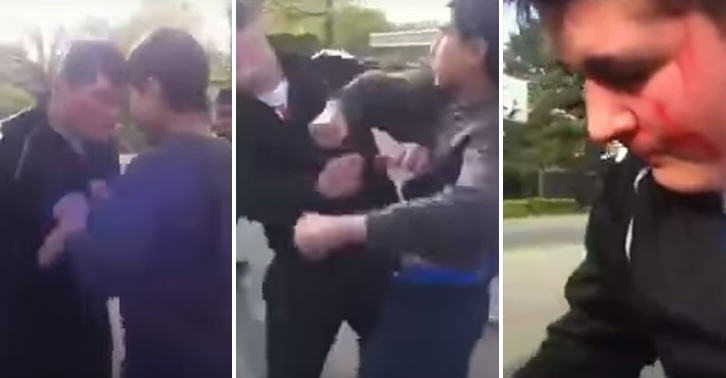 The bully is caught off guard by the skinny kid, though, when his intended victim fights back with an absolute flurry of fists, leaving him bloodied and bruised. Always satisfying watching a bully get their comeuppance.